This week's edition of WWE Monday Night RAW (4th March 2019) saw a lot of contrasting moments. 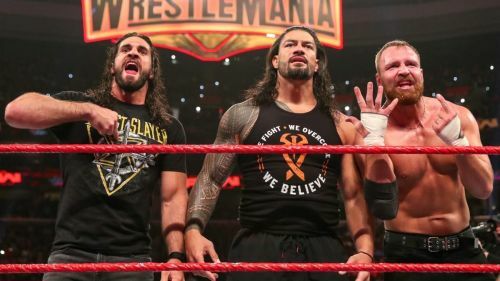 Right from an eventful Shield reunion to Ronda Rousey's heel turn, last night's episode had it all. As a go-home show for Fastlane, it raises more questions than answers, and that can be both a good and a bad thing. Regardless of whether or not you agreed with several bold booking decisions last night, it would only be unfair to discredit the show for its volatile nature, which is appreciable, as opposed to literally no major plot points occurring on RAW throughout the majority of last year. #3:...And live from Philadelphia, its Monday Night- What? Colin Jost and Michael Che are famously known for co-hosting Weekend Update segments for Saturday Night Live. They were involved in various backstage skits last night, and for the most part, it was clear that something was off. Their SNL charm was missing. This could have happened because the segments felt by-the-numbers and forced. Nevertheless, the one backstage bit with Braun Strowman did work. 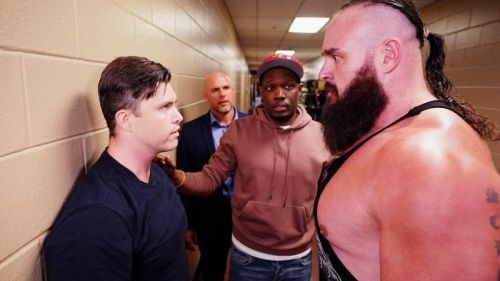 It seems as if Colin Jost was written as an unlikable person in the eyes of a wrestling fan; a dynamic which did work out in the end. One can only hope that their chemistry reminds audiences of their SNL charm during WrestleMania 35, otherwise, it would be much better if they had some Hall of Famers as guest correspondents for the Grandest Stage of Them All. For what it's worth, the Colin Jost/Michael Che segments did compromise TV time for other notable wrestlers. Let us know in the comments as to what you thought about the duo's backstage segments last night.